Many business owners establish corporations to shield themselves from personal liability for business debts and protect their personal assets from creditors of the company. When established and maintained properly, a corporation is treated under the law as an independent entity, with many of the rights afforded to individuals. Such rights include the ability to own and transfer property, enter into contracts, obtain funding and to initiate legal action. A corporation is a separate, distinct entity, apart from its shareholders; as a result, only the corporation’s assets can be seized to pay judgments or satisfy other debts owed by the company. However, the liability protection afforded by the corporate business structure is only available if the integrity of the corporation as a separate entity is respected by the courts and taxing authorities. Certain corporate formalities must be observed in order to preserve the corporation’s status as a separate entity apart from its owners. Failure to comply with these requirements may permit creditors to “pierce the corporate veil” and seek payment from the individual shareholders directly. 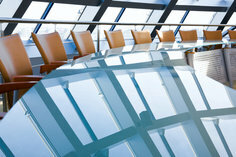 To ensure the corporate veil remains intact, the corporation must act like a separate and distinct entity, and the shareholders must treat it as such. If certain corporate formalities are not consistently observed, a court may find that the corporation is merely an “alter ego” of the individual owner(s), and the corporate structure may be “disregarded”. When this occurs, the corporate veil is pierced and the individual shareholders can be held personally liable for the debts of the company. The corporation’s financial and corporate records must be documented. Most states also require that the shareholders and the directors meet at least once per year. A record of these meetings, in the form of minutes or written resolutions must be properly executed and maintained by the company. The corporation and the shareholders must treat themselves as separate entities. The corporation should have its own bank and credit card accounts. Business owners should clearly document and account for expenditures made from corporate accounts if they were for personal benefit. The corporation must be fully capitalized, or funded. This is typically accomplished by selling shares. Even in a one-person corporation, that individual shareholder must purchase his or her shares of stock in the company. The corporation should also avoid becoming intentionally insolvent by transferring assets to the shareholders if it is likely that such transfer will inhibit the corporation’s ability to meet its financial obligations. Payment of dividends is neither required, nor appropriate in every situation. However, if the payment of dividends is appropriate, or required, and the corporation fails to pay them, this could suggest that the corporation is actually an alter ego and not a separate legal entity. Which entity is best for your business depends on many factors, and the decision can have a significant impact on both profitability and asset protection afforded to its owners. Below is an overview of the most common business structures. The sole proprietorship is the simplest and least regulated of all business structures. For legal and tax purposes, the sole proprietorship’s owner and the business are one and the same. The liabilities of the business are personal to the owner, and the business terminates when the owner dies. On the other hand, all of the profits are also personal to the owner and the sole owner has full control of the business. A partnership consists of two or more persons who agree to share profits and losses. It is simple to establish and maintain; no formal, written document is required in order to create a partnership. If no formal agreement is signed, the partnership will be subject to state laws governing partnerships. However, to clarify the rights and responsibilities of each partner, and to be certain of the tax status of the partnership, it is important to have a written partnership agreement. Each partner’s personal assets are at risk. Any partner may obligate the partnership, and each individual partner is liable for all of the debts of the partnership. General partners also face potential personal legal liability for the negligence of another partner. A limited partnership is similar to a general partnership, but has two types of partners: general partners and limited partners. General partners have broad powers to obligate the partnership (as in a general partnership), and are personally liable for the debts of the partnership. If there is more than one general partner, each of them is liable for the acts of the remaining general partners. Limited partners, however, are “limited” to their contribution of capital to the business, and must not become actively involved in running the company. As with a general partnership, limited partnerships are flow-through tax entities. The LLC is a hybrid type of business structure. An LLC consists of one or more owners (“members”) who actively manage the company’s business affairs. The LLC contains elements of both a traditional partnership and a corporation, offering the liability protection of a corporation, with the tax structure of a sole proprietorship (if it has only one member), or a partnership (if the LLC has two or more members). Its important to note that in certain states, single-member LLCs are not afforded limited liability protection. Corporations are more complex than either a sole proprietorship or partnership and are subject to more state regulations regarding their formation and operation. There are two basic types of corporations: C-corporations and S-corporations. There are significant differences in the tax treatment of these two types of corporations, however, they are both generally organized and operated in a similar manner. Technical formalities must be strictly observed in order to reap the benefits of corporate existence. For this reason, there is an additional burden of detailed recordkeeping. Corporate decisions must be documented in writing. Corporate meetings, both at the shareholder and director levels, must be formally documented. Corporations limit the owners’ personal liability for company debts. Depending on your situation, there may be significant tax advantages to incorporating. Regardless of the size of the business, corporations (including those organized under Subchapter S) must observe all of the required formalities in order to maximize the benefits of a corporation. 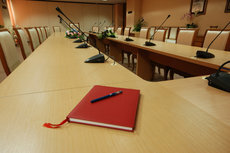 Corporate meeting minutes document the decisions made by the company’s board of directors, and are necessary to preserve the “corporate veil” in the event of a lawsuit or other claim against the company. If corporate formalities are not observed, your own personal assets may be at risk. One such formality is the maintenance of a corporate record book containing minutes of meetings conducted in accordance with the company’s bylaws. Even in a one-person corporation, board resolutions must be drafted, signed and kept in the corporate records. Every major decision that affects the life of the business must be ratified by a board resolution contained in the corporate records. Non-incorporated entities such as limited liability companies are generally exempt from performing such formalities. A public benefit corporation is a type of non-profit organization (NPO) dedicated to tax-exempt purposes set forth in section 501(c)(3) of the Internal Revenue Code which covers: charitable, religious, educational, scientific, literary, testing for public safety, fostering national or international amateur sports competition, and preventing cruelty to children or animals. Public benefit NPOs may not distribute surplus funds to members, owners, shareholders; rather, these funds must be used to pursue the organization’s mission. If all requirements are met, the NPO will be exempt from paying corporate income tax, although informational tax returns must be filed. Under the rules governing public benefit NPOs, “charitable” purposes is broadly defined, and includes relief of the poor, the distressed, or the underprivileged; advancement of religion; advancement of education or science; erecting or maintaining public buildings, monuments, or works; lessening the burdens of government; lessening neighborhood tensions; eliminating prejudice and discrimination; defending human and civil rights secured by law; and combating community deterioration and juvenile delinquency. These NPOs are typically referred to as “charitable organizations,” and eligible to receive tax-deductible contributions from donors. To be organized for a charitable purpose and qualify for tax exemption, the NPO must be a corporation, association, community chest, fund or foundation; individuals do not qualify. The NPO’s organizing documents must restrict the organization’s purposes exclusively to exempt purposes. A charitable organization must not be organized or operated for the benefit of any private interests, and absolutely no part of the net earnings may inure to the benefit of any private shareholder or individual. Additionally, the NPO may not attempt to influence legislation as a substantial part of its activities, and it may not participate in any campaign activity for or against political candidates. All assets of a public benefit non-profit organization must be permanently and irrevocably dedicated to an exempt purpose. If the charitable organization dissolves, its assets must be distributed for an exempt purpose, to the federal, state or local government, or another charitable organization. To establish that the NPO’s assets will be permanently dedicated to an exempt purpose, the organizing documents should contain a provision ensuring their distribution for an exempt purpose in the event of dissolution. If a specific organization is designated to receive the NPO’s assets upon dissolution, the organizing document must state that the named organization must be a section 501(c)(3) organization at the time the assets are distributed. If a charitable organization engages in an excess benefit transaction with someone who has substantial influence over the NPO, an excise tax may be imposed on the person and any NPO managers who agreed to the transaction. An excess benefit transaction occurs when an economic benefit is provided by the NPO to a disqualified person, and the value of that benefit is greater than the consideration received by the NPO. To apply for tax exemption under section 501(c)(3), the NPO must file Form 1023 with the IRS, along with supporting documentation, including organizational documents, details regarding proposed activities and who will carry them out, how funds will be raised, who will receive compensation from the NPO, and financial projections. If approved, the IRS will issue a Letter of Determination. Public charities must also apply for exemption from state taxing authorities, a process which varies from state to state. The primary advantages of operating as a corporation are liability protection and potential tax savings. Like any important decision, choosing whether to incorporate involves weighing the pros and cons of the various business structures and should only be done after careful research. Once incorporated, the business becomes a separate legal entity, and assets of the corporation are separated from the owner’s personal finances. As a result, the owner’s personal assets generally can be shielded from creditors of the business. Many business owners are concerned about “double taxation” of income that affects certain types of corporations known as “C-Corporations”. Double taxation results when the C-corporation has profit at the end of the year that is distributed to the shareholders. That profit is taxed to the corporation, at the corporate tax rate, and then the dividends are taxable income to the shareholders on their personal tax returns. However, the corporate tax and dividend rates can be lower than the individual tax rate that a sole-proprietor would pay on a 1040 Schedule C, and a knowledgeable accountant or tax attorney may be able to advise on how to minimize the burden of double-taxation and indeed pay an effective tax rate which is lower than what a sole proprietor would pay. For example, a small C-Corporation will likely have a shareholder who is also an employee. Paychecks to the shareholder/employee are, of course, tax deductible to the business. To the shareholder/employee, they are taxable income (as would be the case with a paycheck from any employer). A bonus could be paid to the shareholder/employee in order to lower the corporation’s taxable profit, eliminating the double-taxation. These calculations should be performed by a tax advisor, but shifting income from the corporation to the shareholder/employee (or not, depending on which has the lower tax rate) can be an effective way to lower your overall tax liability. In addition, there are certain advantages that are only available with a C-Corporation, such as full tax-deductibility of medical benefits for a shareholder/employee. The S-Corporation avoids the double-taxation by offering a tax structure similar to the Limited Liability Company. A corporation with 100 or fewer shareholders can elect to be treated as an S-Corporation. If the corporation is profitable, the shareholder/employee must draw a reasonable salary (and pay employment tax on it), but then all remaining corporate profits flow through to the shareholder’s personal tax return (thereby avoiding the FICA tax on the portion of profits that is taken as a dividend). An experienced attorney can help you decide which form of ownership is best for your business, help you establish the entity, and ensure the required formalities are observed. The difference between a C-Corporation and an S-Corporation is in the way each is taxed. Under the law, a corporation is considered to be an artificial person. Shareholders who work for the corporation are employees; they are not “self-employed” as far as the tax authorities are concerned. In theory, before a C-corporation distributes profits to shareholders, it must pay tax on the income at the corporate rate. Then, leftover profits are distributed to the shareholders as dividends, which are then treated as investment income and taxed to the shareholder. This is the “double taxation” you may have heard about. Income splitting is the division of income between the corporation and its shareholders in a way that lowers overall taxes, and can avoid or significantly reduce the potential impact of “double taxation.” By working with a knowledgeable tax advisor, you can determine exactly how much money the corporation should pay you as an employee to ensure the lowest tax bill at the end of the year. C-Corporations enjoy a wider range of deductible expenses such as those for healthcare and education. A shareholder can borrow up to $10,000 from a C-Corporation, interest-free. Tax-free loans are not available to sole proprietors, partners, LLC members or S-Corporation shareholders. S-Corporations pass income through to their shareholders who pay tax on it according to their individual income tax rates. To qualify for S-Corporation status, the corporation must have less than 100 shareholders; all shareholders must be individual U.S. citizens, resident aliens, other S-Corporations, or an electing small business trust; the corporation may have only one class of stock; and all shareholders must consent in writing to the S-Corporation status. Electing S-Corporation tax treatment eliminates any possibility of the “double taxation” referenced above. 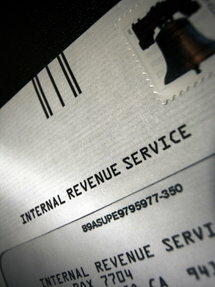 S-Corporations pay no federal corporate income tax, but must file annual tax returns. Because losses also flow through, shareholders who are active in the business can take most business operating losses on their individual tax returns. S-Corporations must still file and pay employment taxes on employees, as with a C-Corporation. An S-Corporation may not retain earnings for future growth without the shareholders paying tax on them. The taxable profits of an S-Corporation pass through to the shareholders in the year they are earned. S-Corporations cannot provide the full range of fringe benefits that a C-Corporation can. Robert T. Acker, P.C. assists clients in North Massapequa, NY as well as Seaford, Amityville, Wantagh, Farmingdale, Copiague, Bellmore, Levittown, Bethpage, Lindenhurst, Merrick, East Meadow, Old Bethpage, West Babylon, Melville, Uniondale, Hicksville, Roosevelt, Plainview, Wyandanch, Freeport, Babylon, Hempstead, Baldwin, Westbury, Jericho, West Islip, Garden City, Deer Park, Point Lookout, Carle Place, Syosset, Woodbury, Rockville Centre and Oceanside in both Nassau and Suffolk Counties.